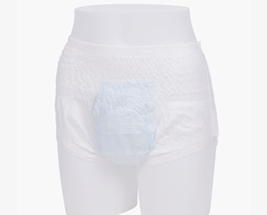 Disposable swimwear is an ideal solution for containment of solid bowel moments, being easy to dispose of after use. Both swimmates and swim-sters are designed to be worn under your regular swimwear, being similar to waterproof pants to provide secure containment whilst swimming. Disposable swimwear is a quick and easy alternative to washable swimwear that can be thrown away after use, removing the need to carry the soiled pant in your bag or on your person after use.